While Pinarello has a cyclocross bike on the market, we saw two new gravel bikes from the storied Italian brand at the 2016 Bike Press Camp. 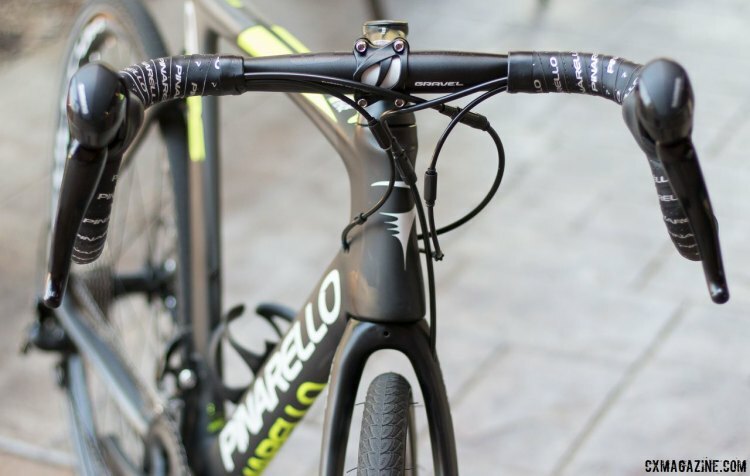 The first gravel-specific offerings from Pinarello, with one model featuring a rear suspension designed to keep riders comfortable over the long haul, share many of the brand’s hallmarks. 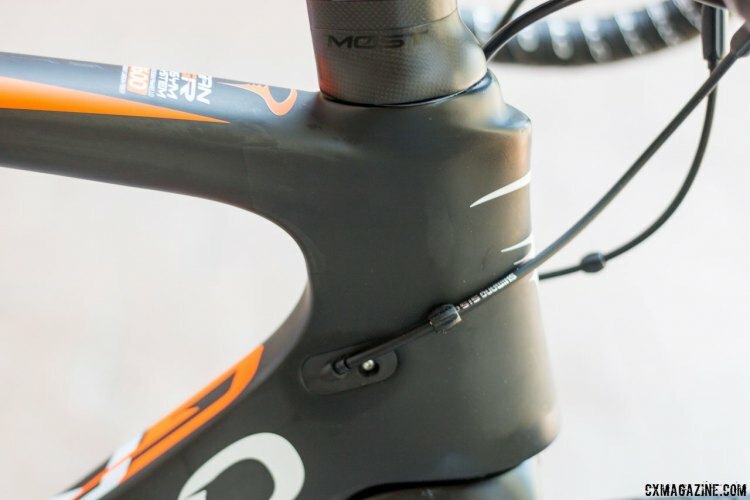 For example, both the Pinarello GAN GR and GAN GRS frames feature aero tubes shapes. 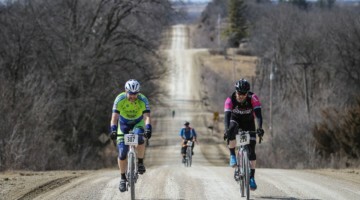 Pinarello is not marketing the bikes as aero gravel bikes like 3t Exploro. Still, it’s hard not to look at them and think of the bikes as wind-cheaters for the road less traveled. 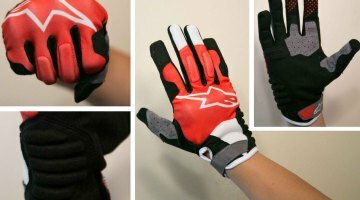 As mentioned, there are two models. 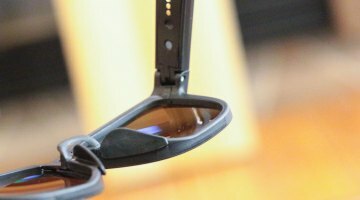 The higher-end GAN GRS features an elastomer dampening suspension and is constructed of T900 high modulus carbon. 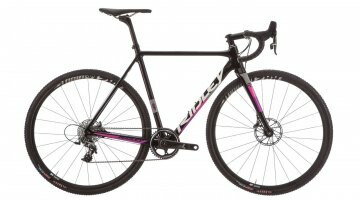 That model will retail for $5,250 USD and feature a Shimano Ultegra/R685 mechanical shifting/hydraulic braking build kit (not as pictured). 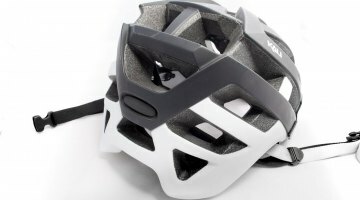 The $2,800 USD GR leaves the suspension off and features a frame made of the less expensive and slightly heavier T600 carbon. That model comes with a full Shimano 105 build, also not completely accurately pictured in the slideshow and photos below. 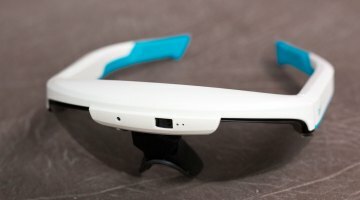 The two Taiwanese-made models feature the same frame geometry, which is relatively cyclocross oriented. Both have 42.5cm chainstays, 390mm axle to crown, 50mm rake fork and a 67mm bottom bracket drop across the board. Each also features 12mm front thru axles and 142/12mm rear thru axles. The fork for each also has Pinarello’s unique fork blade shape, with longer, curved legs said to offer more compliance. 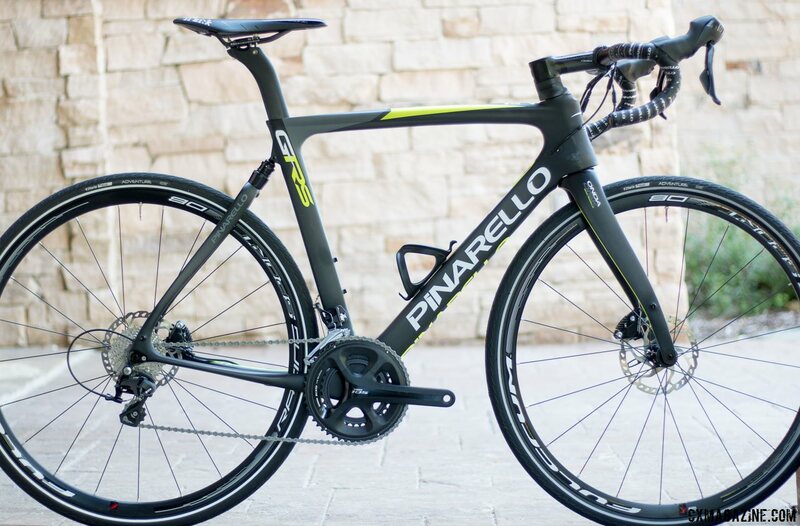 Each model comes in seven sizes, as Pinarello’s stated goal is to fit the majority of riders out there. And each is said to accommodate a 38c tire. But without big side knobs it looks like riders might be able to go bigger. 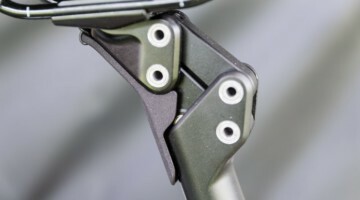 Pinarello’s soft tail design offers 1cm travel via elastomer dampening. You can preset preload with a special wrench, and Pinarello suggests 2 to 3mm of sag. The system was originally designed for Team Sky and their road bikes for the cobbled classics. Of course the soft tail concept is nothing new, with similar designs coming from Calfee, Moots, KHS, Dekerf, Trek and others over the years. 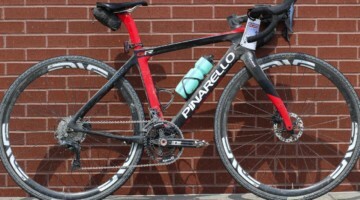 Both bikes feature Pinarello’s house-brand MOST cockpit, which includes a flared drop bar that, as the labeling indicates, is designed for gravel riding. The stiff, reflective sidewall Vittoria Adventure tires are great commuter tires, but seemed out of place on gravel bikes of this price range. It’s nice to see fittings for fenders, should you want to use the GAN GR and GRS as do-it-all bikes in wet weather. We didn’t have an opportunity to give these bikes a full test at Press Camp after one was unrideable after a mechanical mishap, but stay tuned for a full review. 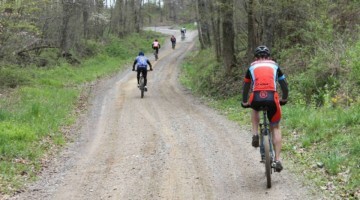 Get more Bike Press Camp news right here.